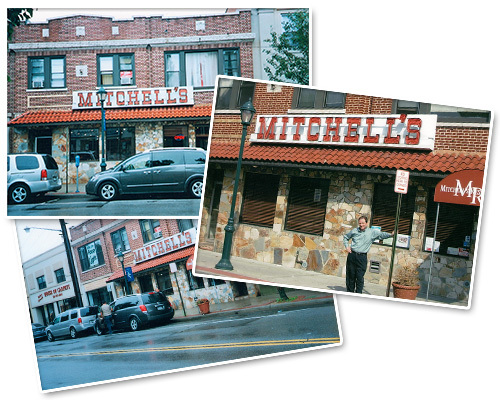 Mitchell’s Restaurant has been a part of the Valley Stream community since 1938. One of the longest standing restaurants on Long Island, Mitchell’s is more than just a great place to eat. It is a part of people’s lives. Thank you for letting us into your lives. We take great pride and joy in serving you every day. In 2006 the Mitchell’s brand was purchased by Chris Sourgoutsis, a long-time Long Island restaurateur. Former owner of The East Bay Diner in Bellmore, NY and The Sherwood Diner in Lawrence, NY, Chris brought his skills and talents to Mitchells as sole proprietor. Along with the help of his son, Dimitrios, a 2005 NYU graduate, as well as his two daughters and wife, Mitchell’s truly is a family owned and operated business. We believe that when you are blessed, you need to become a blessing. Mitchell’s is a constant supporter of local schools, religious organizations and other groups. We’ve been presented with countless awards, plaques and honors in recognition of our support as a local business. We take our social responsibility to the community very seriously. We want to do right by our customers. Thanks to the continuing patronage and loyalty of our customers, Mitchell's has served Valley Stream and surrounding communities for over 7 decades.